The 2016 triathlon season was a year that the world will never forget. From the World Triathlon Series, World Cups, World Championships and the Olympic and Paralympic Games, it was a busy year that produced nothing short of unbelievable moments. So what moments stood out the most? Through the month of December we will be naming the “Best of 2016” moments from the year, anything from top performances to inspirational finishes, because when you have a year like we just had, you have to celebrate it. 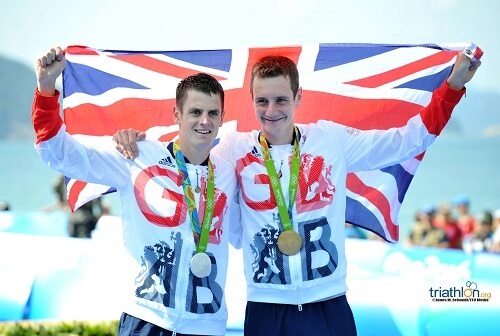 Multiple times this year, the Brownlee brothers were put under a magnifying glass to see how they would perform. The pressure was on for when the two lined up in WTS Leeds, because it was their hometown race, in the Rio Olympic Games, because they were returning medallists, and in the Cozumel Grand Final, because Jonny was in the running for the World title. 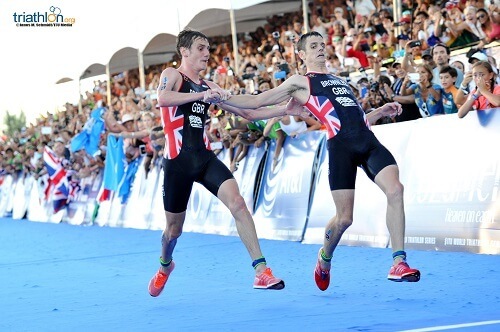 The Brownlees surpassed all expectations, every. single. time. No big deal that basically every single person they knew from their hometown was in Leeds watching them race…. they took gold and silver. No big deal that the whole world was watching them at the Olympic Games and expected them to get on the podium again… they took gold and silver. Take it one step further and Alistair even became the only triathlete in Olympic history to claim back-to-back gold medals. No big deal that the pressure was on for Jonny in Cozumel to win a world title. 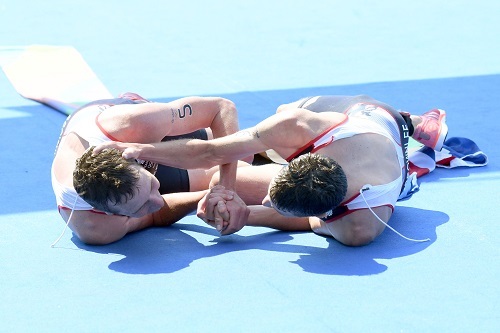 Leave it to the Brownlees that even though Jonny didn’t win the title, they ended up showing an act of humanity and inspirational sportsmanship, that they earned a lot more respect than if they had even won the gold. 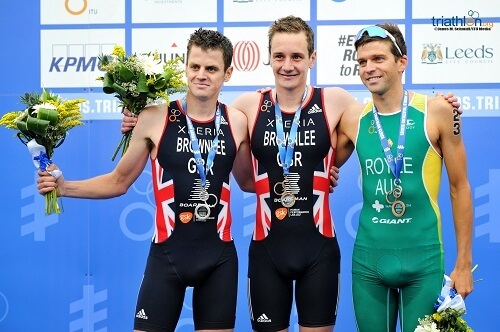 Brownlees won again and again. In the men’s PT5 sport class, Schulz and Daniel are as good as it gets. Both are champions in the sport in their region of the world. Schulz dominates on the European front, earning four gold medals throughout this year’s competitions, including the 2016 ITU Rotterdam Paratriathlon World Championships. 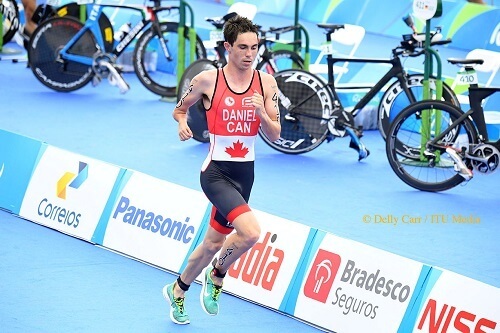 Daniel on the other hand is a Canadian, who makes his way through the Americas region in 2015, collecting golds along the way. The two do not meet up on the start line very often, but when they have the score is at an even playing field. Daniel won the World title in 2015 in Chicago, when the two came head-to-head. 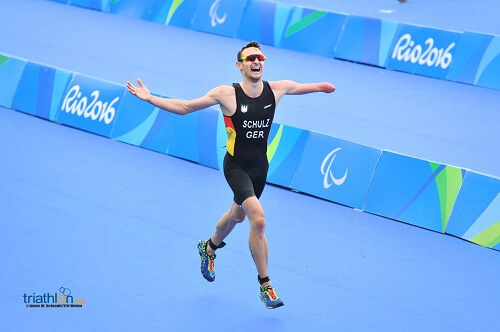 But it was at the Rio Paralympic Games when Schulz came out on top to get the gold. Each competitor is at a 1-1 advantage when it comes to showing up to major events, so we think this showdown is far from being over!